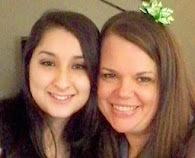 My sweet Sarabeth and me... My sister in law Angie... can you tell where I had that thing removed from my forehead? I think it's looking a lot better. I had to include a picture of our Jamie-gurl... she is such a doll! Sarabeth as "Max the Dog" complete with bone that Aunt Heather bought her at the dollar store! Pop wrote a book for her called, "Why do I have to have freckles?" and here she's opening it. A group shot... can you see how SB is cuddling her little friend? There were a bunch of kids there but they were all really well behaved. No drama! We had a blast at Sarabeth's birthday party today. You couldn't have asked for any more perfect weather! It was sunny with just a slight bit of fall coolness in the air. I'm only posting a few pictures here (as it's a pain in the rear!) for the complete album you can check out my myspace page and/or my facebook. Myspace is under Heather Gant Darby, Facebook is under Heather Gant Sauls Darby. Austin is already alseep and it's not even 7:30! I'm not far behind him... it's been a great day! We can hear the high school football game being played as the stadium is not far from us... the weather is chilly and it's perfect sleeping weather. Y'all have a wonderful evening! I love all the photos. Looks like she had a wonderful birthday. Looks like everyone had a great time. Thanks for sharing and you're right it is a pain in the arse to add pics on here. Thank you for sharing those wonderful pics, I am great you all had such a good time.